Tanzanian Immigration Department spokesman Ali Mtanda said Angela Quintal and Muthoki Mumo were arrested for violating the terms of their visas by holding meetings with local journalists. "They were supposed to get a separate permit for that," he said. CPJ accused the authorities of sending a false tweet from Quintal's personal account saying that they had been released, and making several attempts to access her email account. "It is now abundantly clear to anyone who followed the latest developments that Tanzanian journalists work in a climate of fear of intimidation," said Joel Simon, CPJ's executive director. 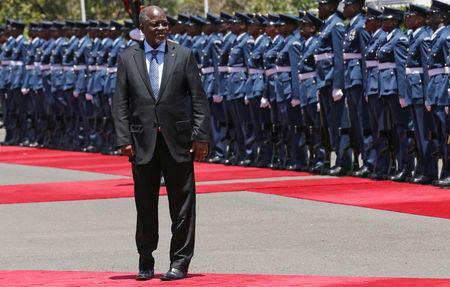 President John Magufuli's government has been criticised by opposition politicians and international rights groups for what they say is growing authoritarianism and intolerance of dissent. The government rejects the criticism. Quintal, a South African citizen, and Mumo, a Kenyan, were detained in their Dar es Salaam hotel room by immigration officers and taken to an unknown location in the country's commercial capital, according to the CPJ.